The IRS is giving tax-prep-procrastinators a little more time this year. Since April 15 falls on a Saturday, the IRS changed the tax filing deadline this year to April 18. 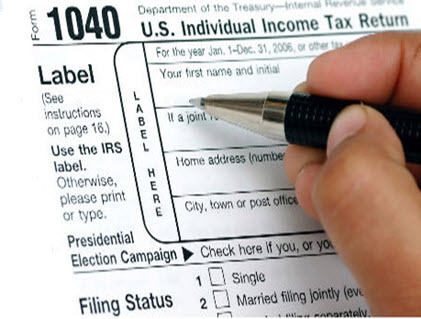 If you are working up to the last minute to prepare your taxes, we list below a few tips. TIP #1 File on time even if you owe taxes and cannot pay. If you owe taxes and cannot pay, you should still file on time. You will incur a high “failure to pay” penalty of 5% if you owe and do not file on time. If you file on time and do not pay the taxes you owe, your penalty will be 1/10th as much (.5%). To avoid the penalty for not paying on time you must complete a preliminary tax return to estimate how much you owe. Yes, working on your taxes by April 18 is unavoidable. You must complete a return just to see if you owe taxes. If you owe more than you can pay, the IRS will work with you to establish an installment agreement. TIP #2 File an extension if you need more time. TIP #3 Make last minute tax-deductible retirement contributions. You can make tax-deductible contributions to an IRA for the 2016 tax year up to your tax return filing deadline (not including extensions). For example, you can make 2016 IRA contributions until April 18, 2017. If you own a small business, you can establish a simplified employee pension (SEP) IRA. You must establish the SEP IRA by the company’s tax filing deadline (plus any extension) for the tax year to which you will attribute the contribution. If you have a high-deductible health insurance plan you can set-up a health savings account (HSA). You have until the tax deadline (this year April 18) to make your contribution. To establish an HSA account, you must have a high-deductible health insurance plan (HDHP). For the 2016 tax year, the IRS defines an HDHP as a plan with a deductible not less than $1,300 for an individual (with maximum out-of-pocket expenses of $6,500) and not less than $2,600 for a family (with maximum out-of-pocket expenses of $13,100). For 2016, the maximum contributions to an HSA are $3,350 for and individual (+$1,000 for individuals 55+) and $6,750 for a family (+$1,000 for individuals 55+). If you are completing your taxes on time, you should e-file your return with the IRS. By efiling, you get your refund faster. You can also pay your taxes when you e-file. To pay taxes electronically, you will provide the U.S. Treasury with a direct transfer payment from your bank account. After you submit your tax payment electronically, your next bank account statement will list the payment as “U.S. Treasury” and provide a PIN (or access code) in reference to the transaction. If you find that you are getting a very large refund, consider adjusting your Federal and state withholdings. When you receive a large refund at tax time, you have given the government free use of your money. If you refund is very large, adjust your withholding to more closely match your actual tax liability. To adjust your withholding, provide a new w-4 to your employer. You should also adjust your w-4 whenever you have a major life event (new baby, divorce, etc.). Make the same adjustment to your state withholding. After you file your taxes; make sure you keep a copy of your signed return. You should also keep all relevant schedules and tax documents, such as w-2s, K-1s and 1099 forms. With all relevant information in one file, you can respond to any IRS inquiries and you have a reference for next year’s filing. You should retain your tax documents for 3 years. In preparing your taxes; you spend a lot of time gathering all of your financial information. With all of your financial info in one place, it is a great time to revisit your retirement (or financial planning). Need help with tax extensions? Contact us.